As we approach the festive season many companies are starting to slow down for the year. Here at United Radio we like to push through to bring you the very best and fastest service. However our postal carrier here in the UK, Royal Mail, start to slow their collections. Last post for mail to arrive before Christmas is 18th December. After this time Mail posted is unlikely arrive before the 27th December. Therefore I will have a Close down period for 1 week between 20th – 27th December. This gives me time to spend time away from my desk and with my family through the festive period. I would like to thank everyone for their support over the last year. And I wish you and your families all the best and Happy Holidays. A short update that I’ve been wanting to write for some time now. All QSL cards for YOTA, 7X5KBS, DM500RT, V31PS and other calls are now 100% up to date as of last week. Please expect to receive your QSL cards soon! Remember, I provide a guarantee with all letters. If you have not received your QSL card, please email me within 2 months of the letter being posted and I will send a replacement free of charge. Do you need a QSL manager? Well look no further. Click here for everything you need to know! QSL cards have been posted 84 World Bureaus today Tuesday 2nd May 2017. 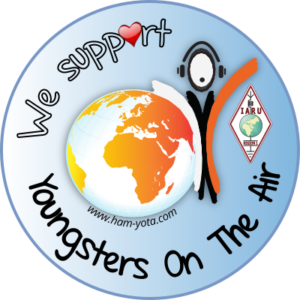 I would very much appreciate feedback from you when the QSL cards start arriving at World Bureaus or received by hams around the world? This feedback will be added to our data below. This mailing features cards from the recent expeditions. The parcels are sent by Priority Business Mail to get to the Bureaus quickly.